The appearance of widescreen popsters Imagine Dragons at the League of Legends Worlds final last weekend drew nods of approval. It was another marker of mainstream success to note down alongside the LoL Coca-Cola bottles, American Express LCS sponsorship and Staples Center takeover. But if eSports has a natural soundtrack, it’s metal. And if metal fans can agree on anything, it’s Metallica. The Californian sultans of speed will play out BlizzCon 2014. Metallica will perform a closing gig for a sold-out convention crowd in Irvine, California on the night of November 8. It probably goes without saying that the seminal thrash metal band are the ideal match for Blizzard’s ‘90s-indebted computer game culture. Huge swathes of Warcraft: Orcs & Humans were no doubt coded to the chug-chug of the Black Album. Seats for the event are long since sold out, but a steep $39.99 virtual BlizzCon ticket will keep you in panels, matches and James Hetfield ye-eeahs all weekend. 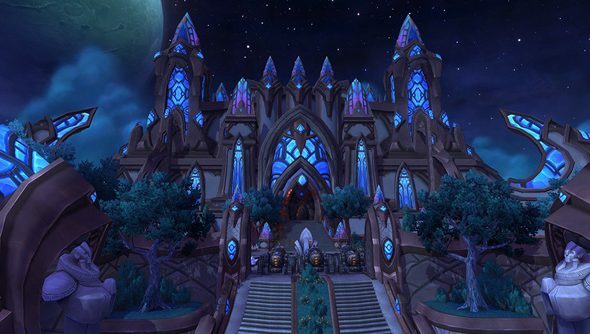 Check the BlizzCon 2014 panel schedule for more on what to expect. There’ll be announcements for Warlords of Draenor, and the first appearance of a Cloud9 Heroes of the Storm team. Will you be attending, in one sense or another?